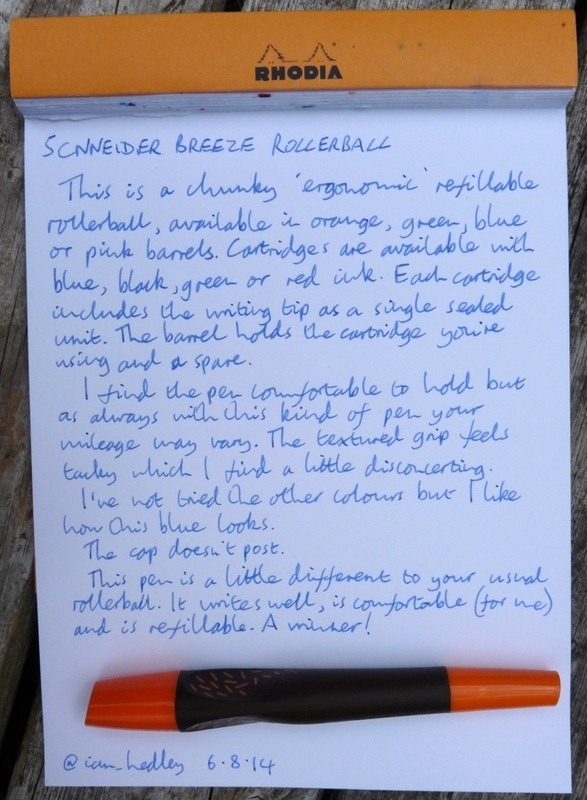 Schneider Breeze rollerball pen review – Pens! Paper! Pencils! 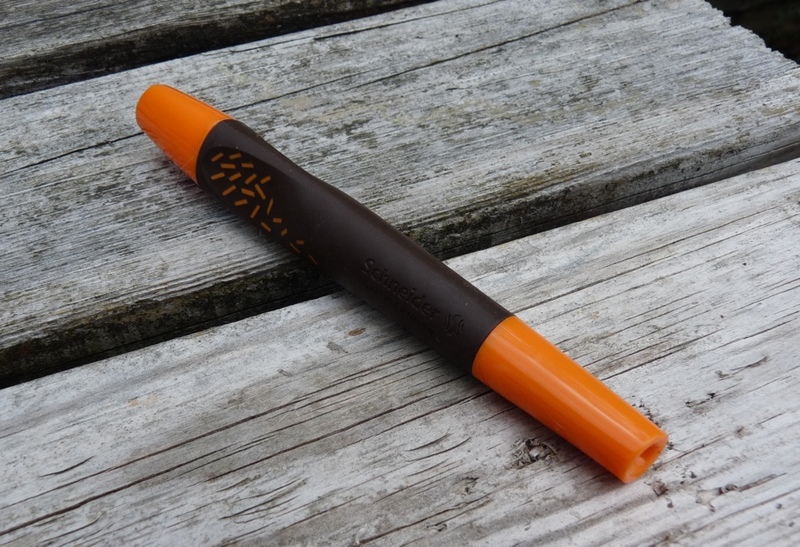 The Schneider Breeze is an ergonomically shaped refillable rollerball pen. The standard version is available in four different colours (orange, pink, green and blue) and comes with two blue cartridges. Replacement cartridges are available in a range of different colours. 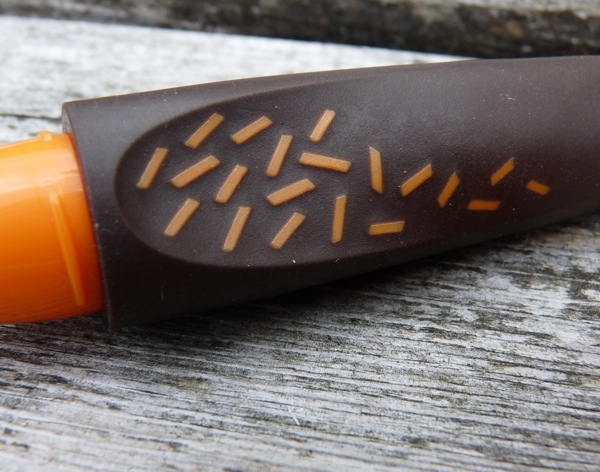 There is also a snazzy Breeze Neon range with some different barrel and ink colours. Ergonomic, of course, means triangular, whether that’s comfortable or not. I do find the Breeze comfortable to hold but you may not! The grip is quite chunky which suits my fat fingers. I can imagine it being a good size and shape for young children, too. The grip has these little raised ridges all over it. I haven’t been able to work out if it’s the pattern or the plastic but it has a tacky (as in grippy not tasteless) feel which is strange. The barrel holds two cartridges, the one in use and a spare. 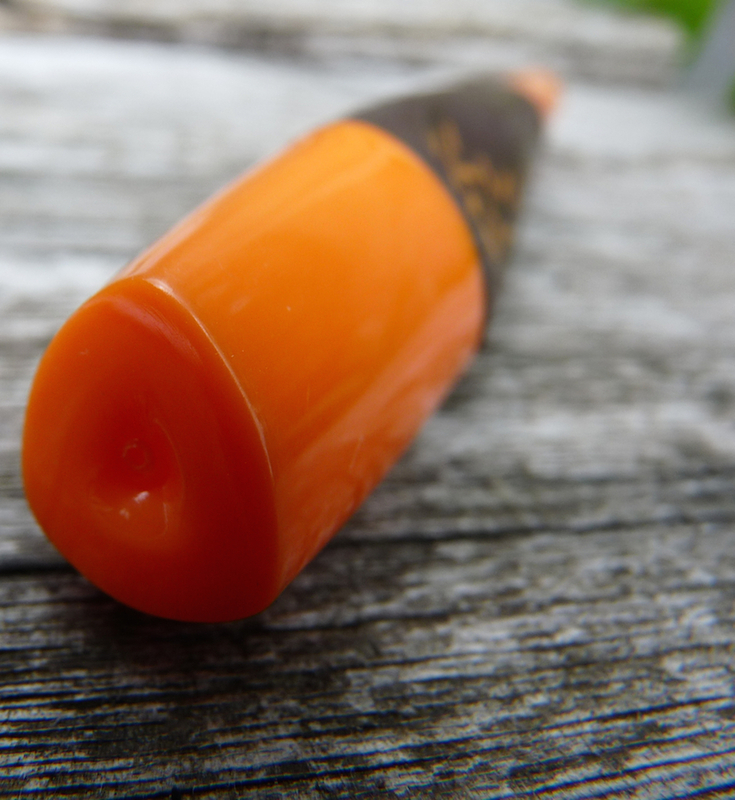 The cartridge includes the tip which means it’s clean and easy to swap out. It also means there’s no way of using your own ink. Do not throw the cartridge away when you finish it! You will need it to hold the new cartridge in place. The cap is a funny little thing that screws closed. 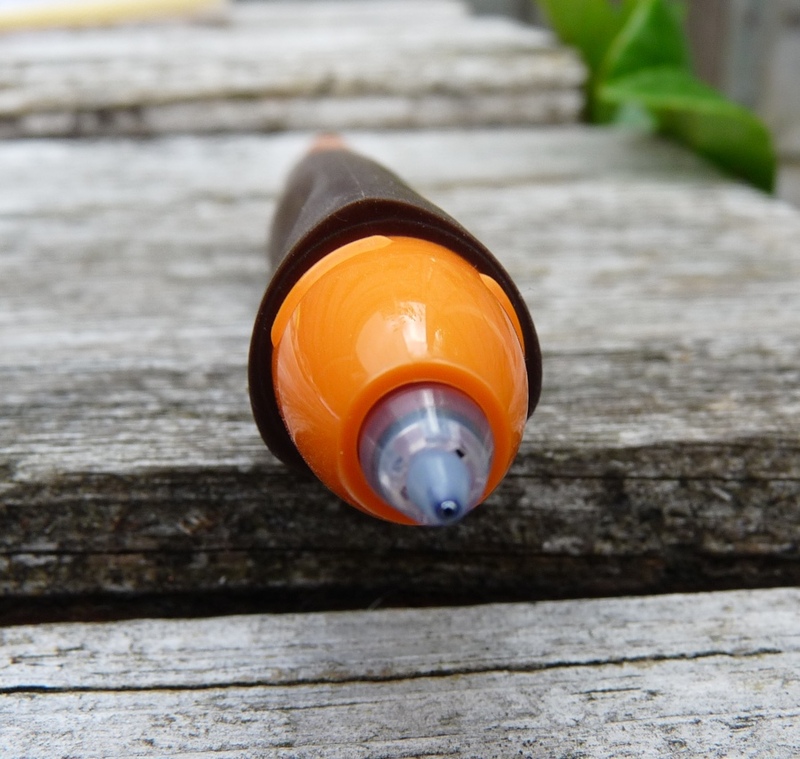 It doesn’t even remotely post, which I find strange for a pen that seems to be aimed towards children. Children with a small cap that doesn’t post, what could possibly go wrong? Fortunately this blue ink is quite a nice colour. It’s also smudge resistent when highlighting (apparently) and quick to dry. The tip is quite broad and there aren’t any finer alternatives. 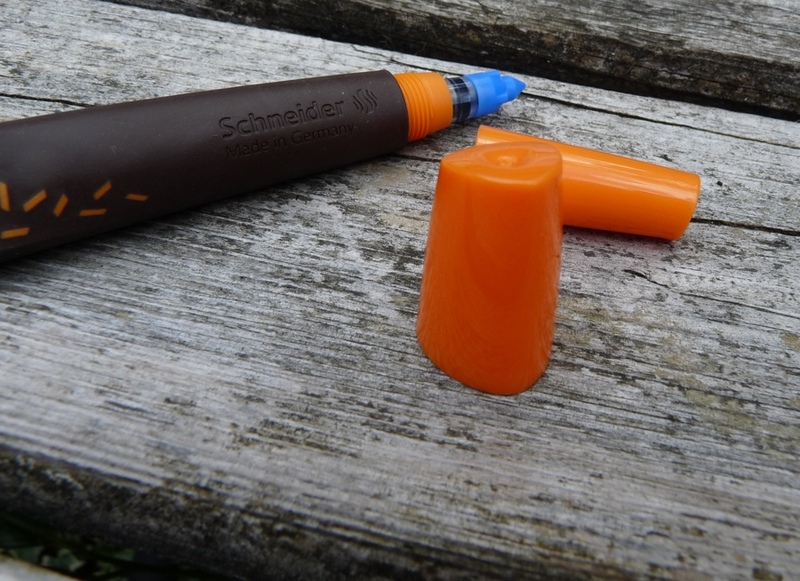 I like the Schneider Breeze. It isn’t perfect and there aren’t a lot of options but I happen to like the options that it gives me and it has a lot of character. It’s quirky. 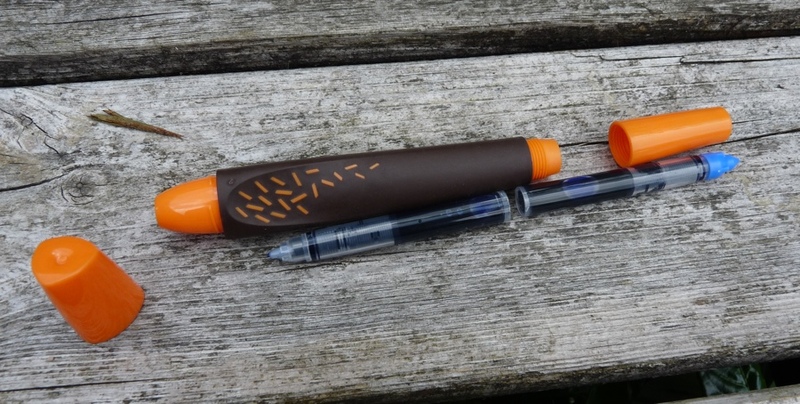 I find the grip comfortable and I like the colour of the ink. I don’t mind a broad writing pen now and then. More than anything, I enjoy writing with this pen. Thank you to Cult Pens for sponsoring this post. I’ve tried not to let their generosity influence my review. 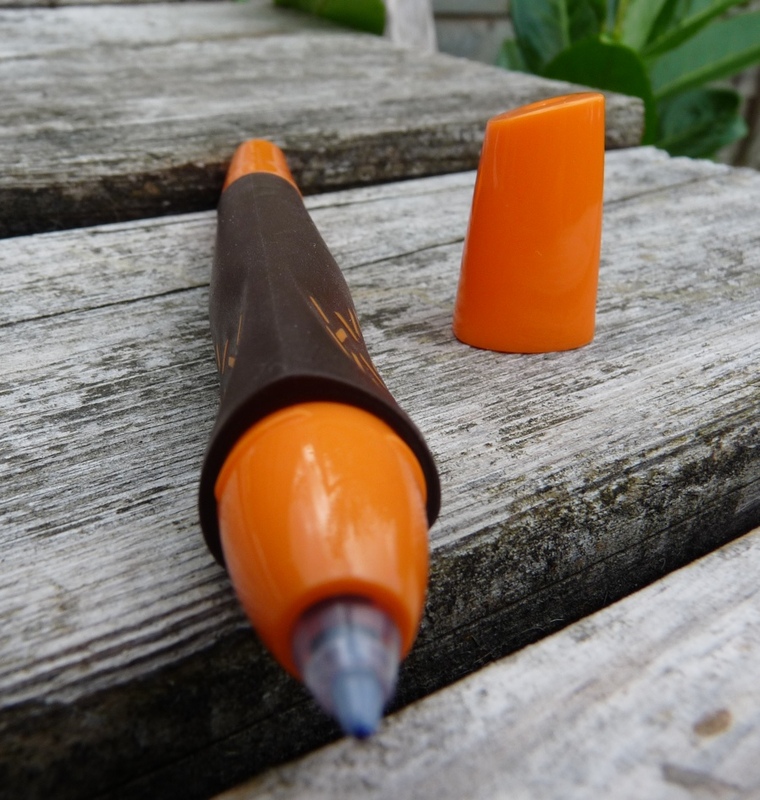 You can buy this pen directly from Cult Pens here. My son is 9yrs old and he uses this pen for school. He is hyper mobile in his hands so needs a chunky pen. He is also left handed and he finds this pen comfortable to use.